what i've been up to. 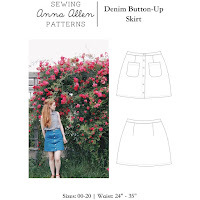 | Anna Allen Clothing Blog: what i've been up to. I've been grading patterns mostly. I'm allllmost done with this dress pattern (and blouse/tunic as well). 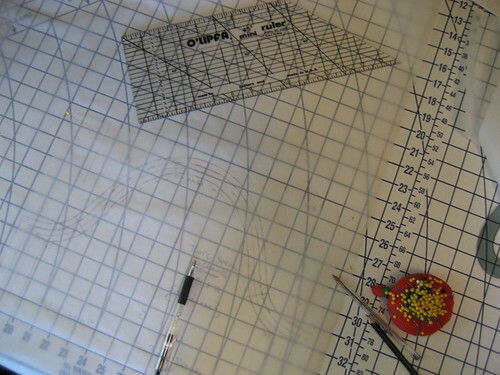 There's just a lot of work that goes into pattern making. I knew it wouldn't be easy, but it's very tedious. You have to test test test and there's a lot of numbers and things involved. 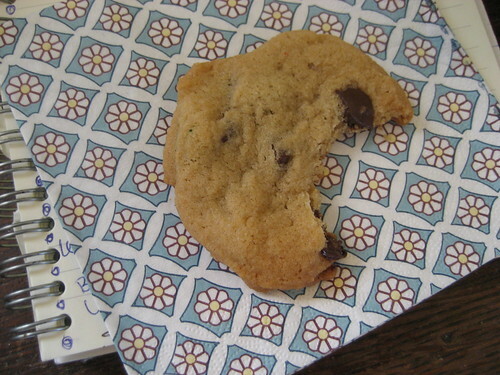 (I'm not exactly what you'd call a math whiz...) Sometimes you just have to take a break from it all (hello chocolate chip cookie). :) But it's been fun! 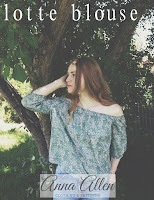 I'm excited to finally have some garments to sell from my own designs! They should be available soonish. I can't say when exactly, but once I have the patterns all wrapped up, I can start sewing! I'll keep you guys updated. On a side note, I won't be selling the actual patterns at this time. There's so much work involved that I'd rather hold onto my designs for now. Perhaps someday when I have loads of time on my hands I will write directions and sell some of my patterns. Thanks for understanding! P.S. Those sandals are still available if anyone is interested! That dress is absolutely darling! It must be so nice to be able to envision a piece of clothing and then make it from scratch. Right now I still have trouble making alterations to patterns I've bought, but hopefully someday I'll get to that stage! Congratulations on the pattern grading progress. I can't wait to see the designs for sale! I'm way jealous of your pattern-making skills. Do you have any other pictures of the sandals? That show the part around the heel and if they have some sort of clasp or buckle? heather, you're so sweet! thank you. :) i often think of you too...i still haven't picked up the banjo..YET! but there has been a lot on my plate lately. i'm planning to move in the summer so there's a lot to pay for, so i might have to put that on hold until i get a little more settled. le sigh. I have to say I am loving the look of your cookies! The dress is beyond lovely! 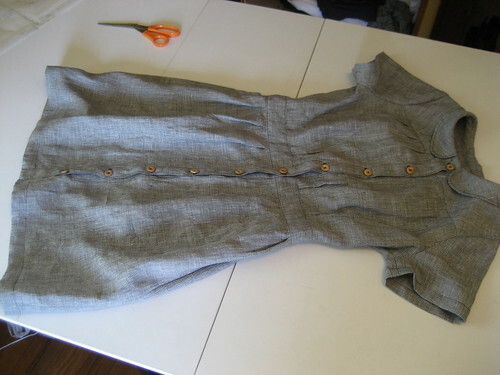 I love the textured look of the gray fabric and the contrast of the wooden buttons. It's perfect. This is so cute - I love the fabric. I am an avid sewer, but I couldn't make a pattern to save my life, so I really admire this. Will it come in a range of sizes? yep, i'm working on size xs to large. actually, i'm working on them as i type (okay, well, i will be...i'm taking a break.) i will be soooo happy when i'm done testing these patterns and they're ready! they're almost there, though! Well I'd love one ~ I'll check back to see when they hit the store.